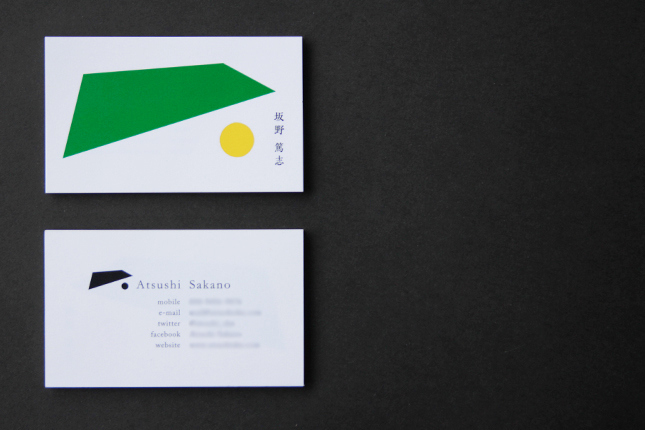 This is a private business card of Atsushi Sakano. 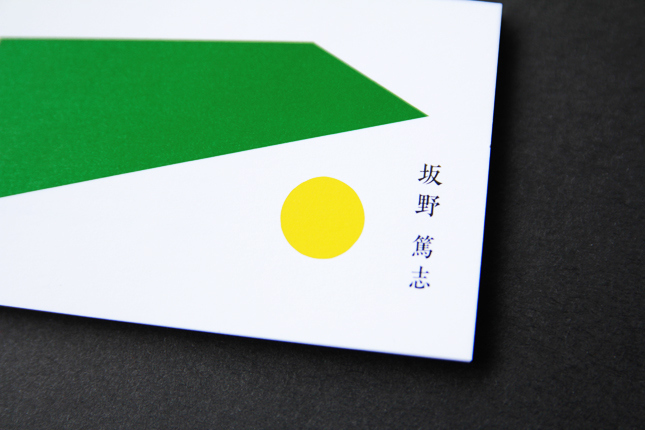 when he graduated from his university and begun to work, he made the card to keep his own mind. 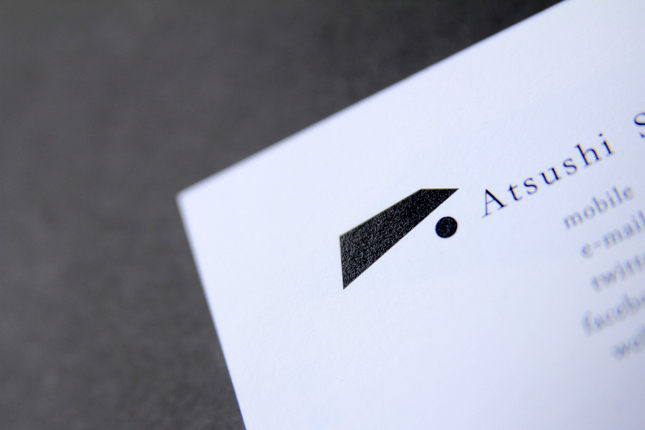 The symbol mark expresses his own name. The green trapezium is a sloping wide field(from his family name), it expressses his wonderful future. The yellow circle of a dim outline expresses his high ambitions and charity(from his first name).